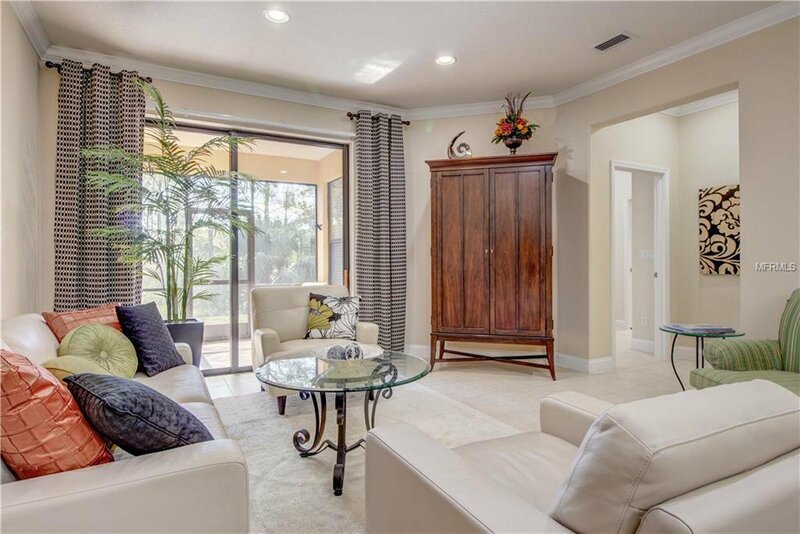 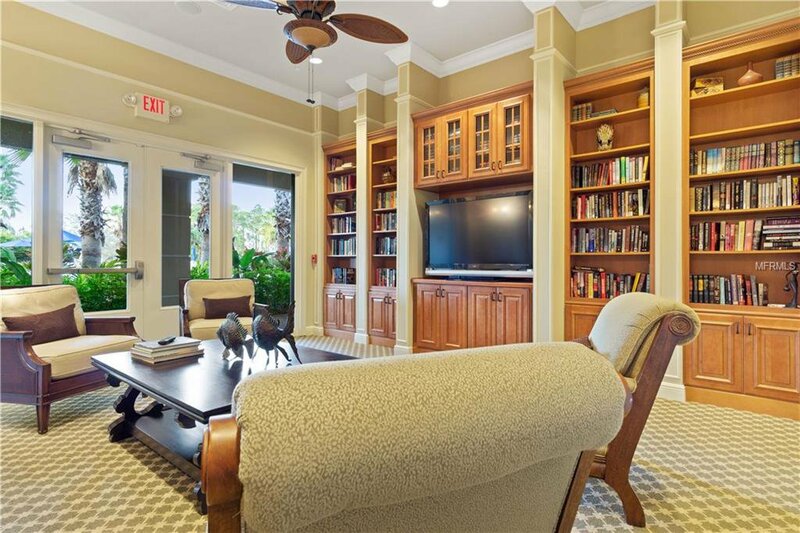 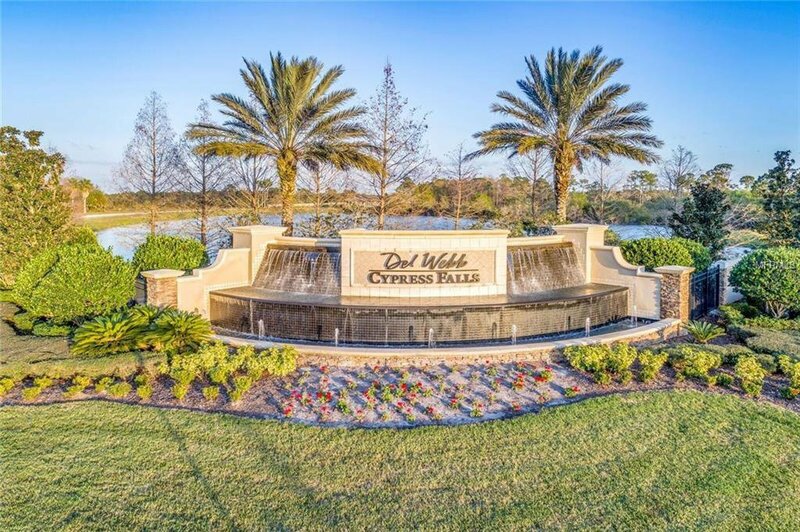 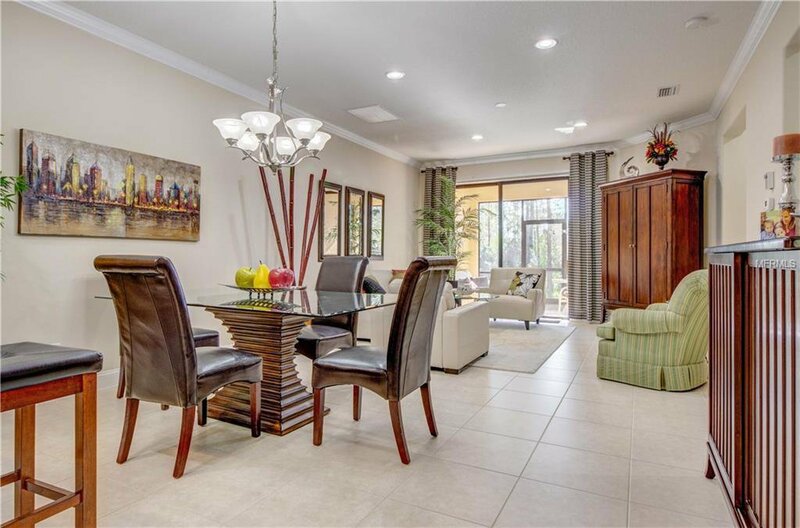 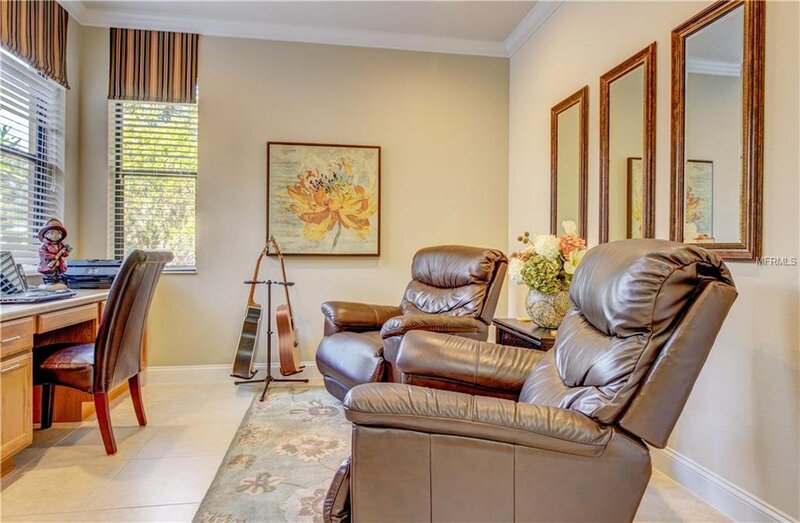 *3D INTERACTIVE VIRTUAL TOUR* Enjoy resort style living in the 55+, maintenance free, gated, Del Webb community of Cypress Falls at The Woodlands. 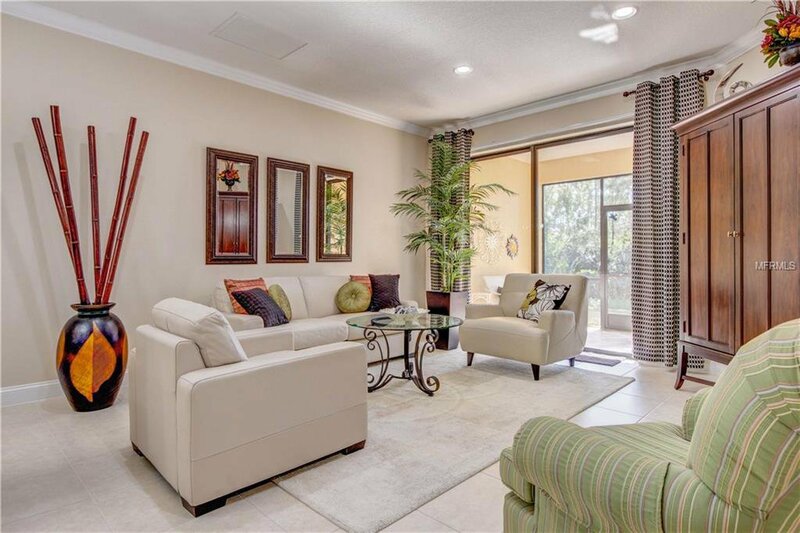 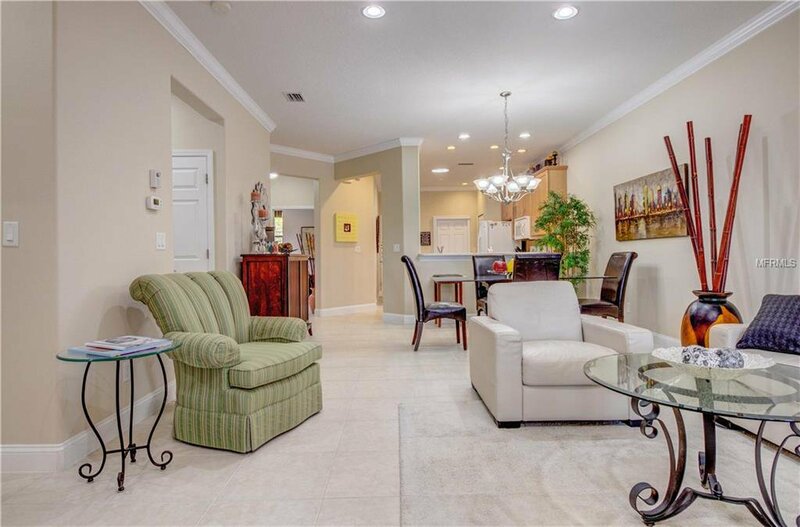 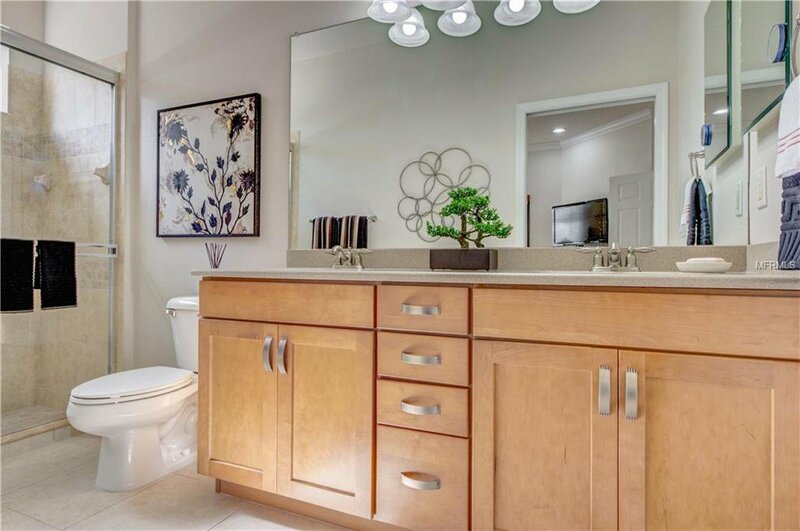 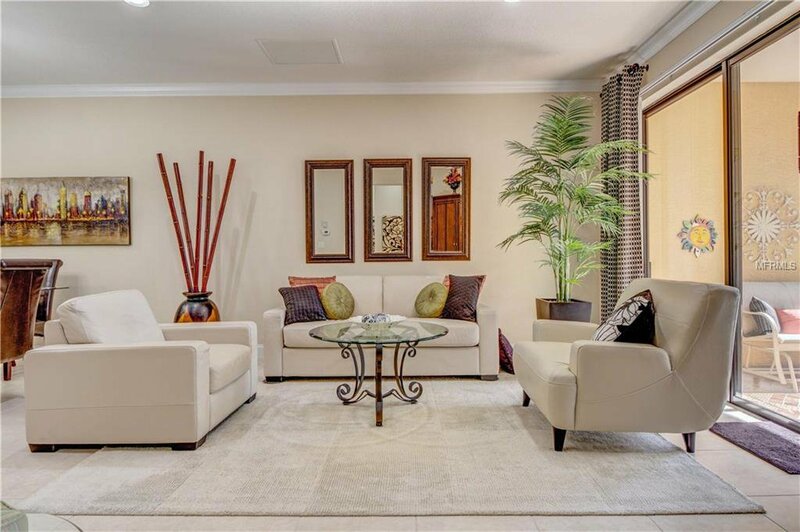 This charming 2 bedroom + den, 2 bath villa is just what you have been looking for! 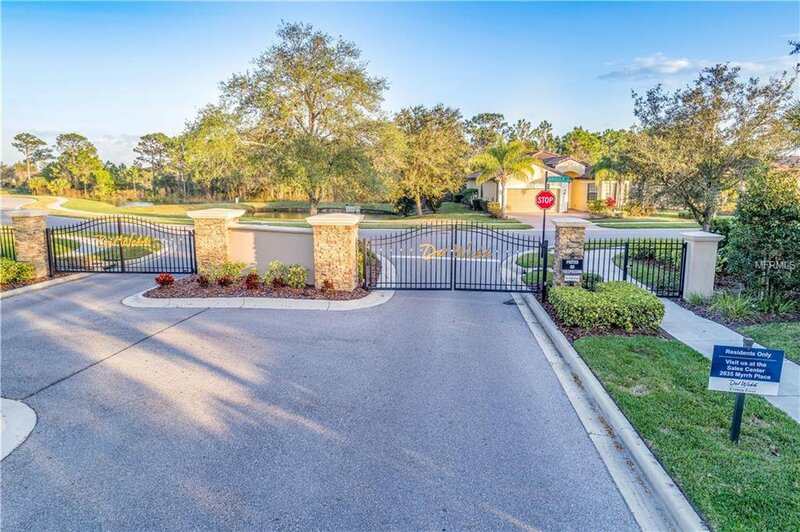 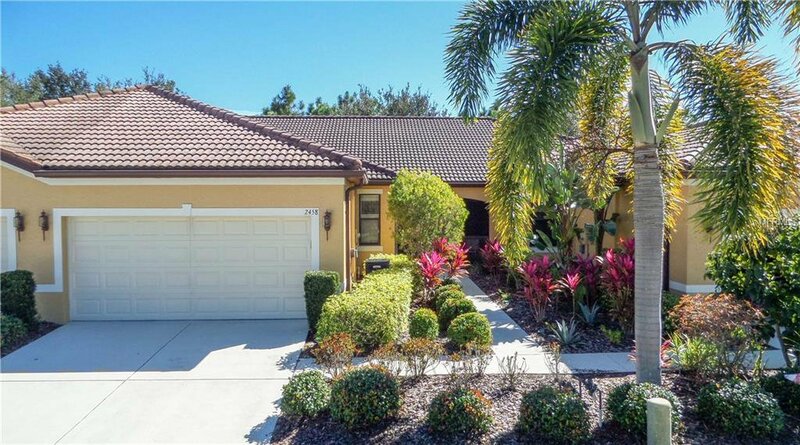 Located on a Cul-De-Sac, pull into your driveway & be greeted w/lush Florida landscaping and an inviting tiled & screened in entryway. 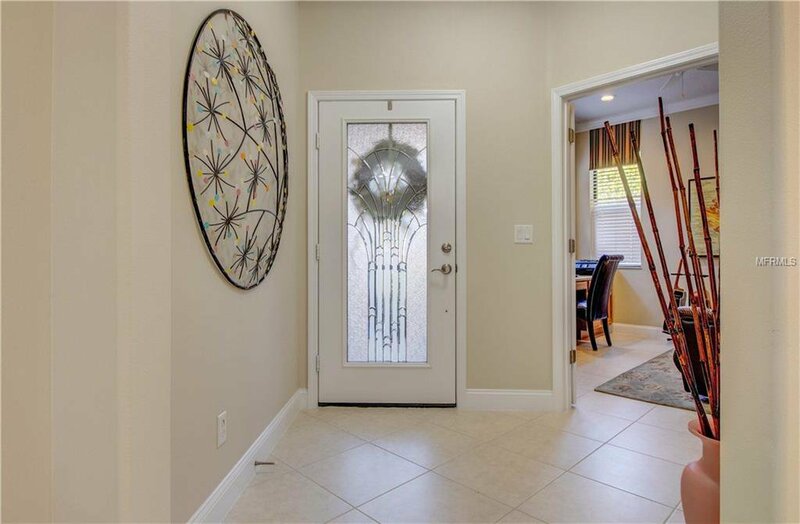 Open the etched glass front door to an open floor plan w/high ceilings & doorways, ceramic tile throughout, neutral colors that give this space a warm & cozy feel & beautiful crown molding! 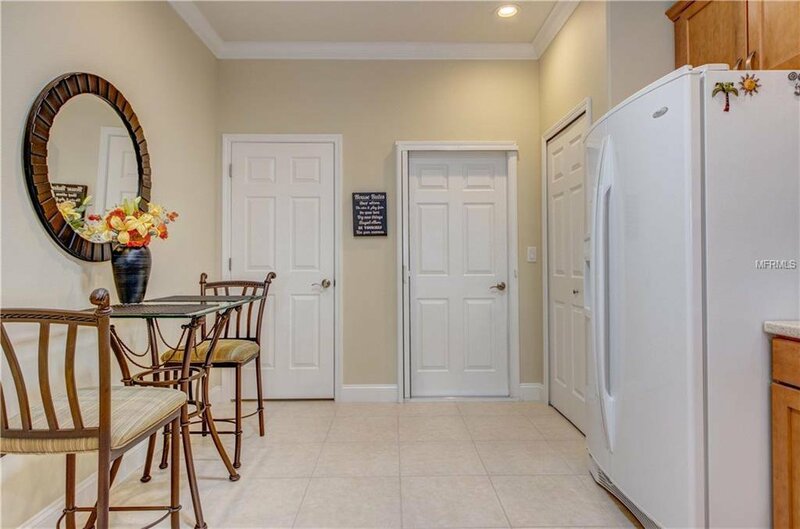 Double french doors lead to a den, this space is the perfect area for an office or craft room. 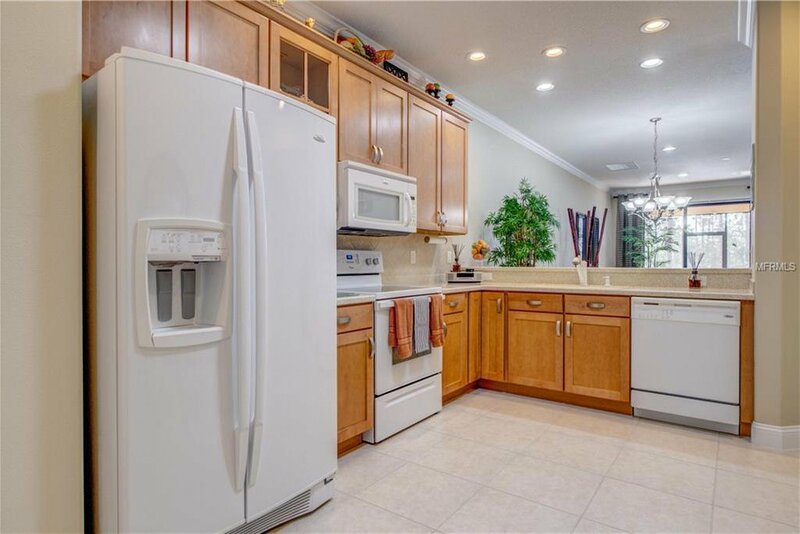 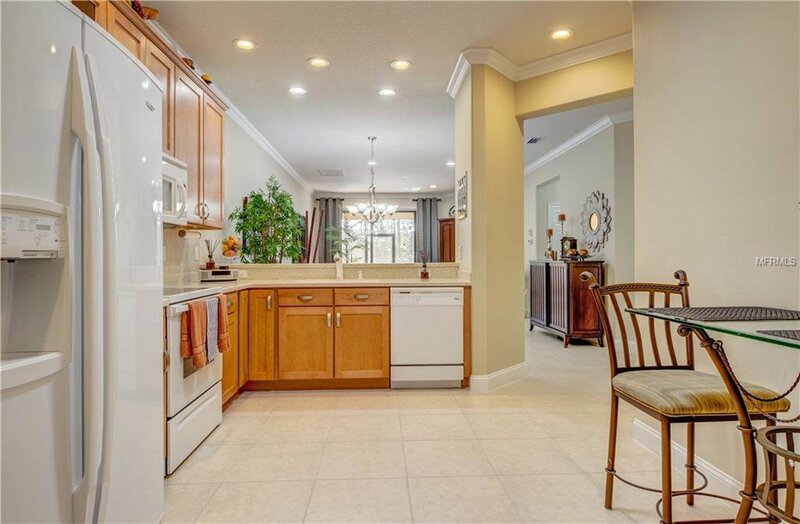 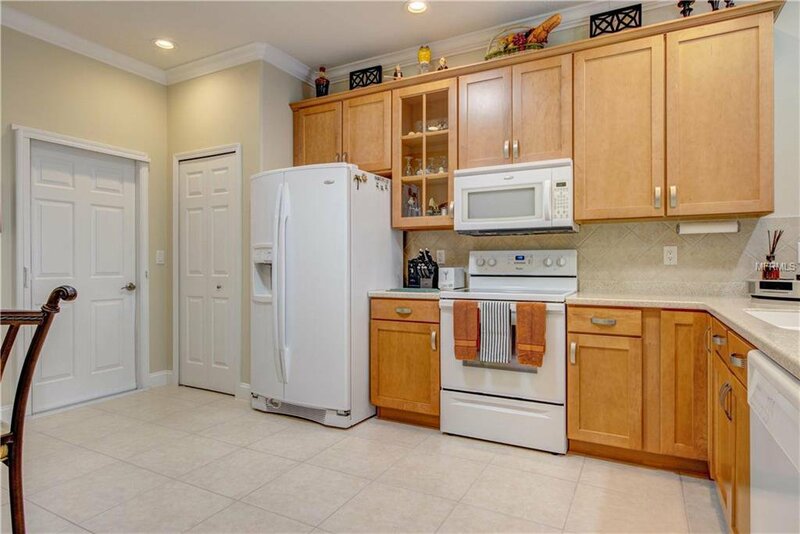 The kitchen features a breakfast bar, wood cabinets, closet pantry, skylight, plant shelves & gorgeous tiled back splash. 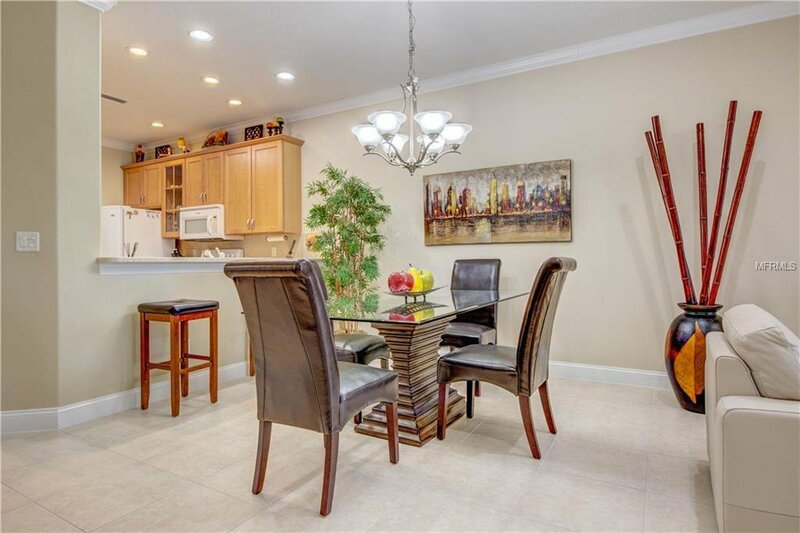 The kitchen overlooks the dining room & great room which makes this a great layout for entertaining family & friends. 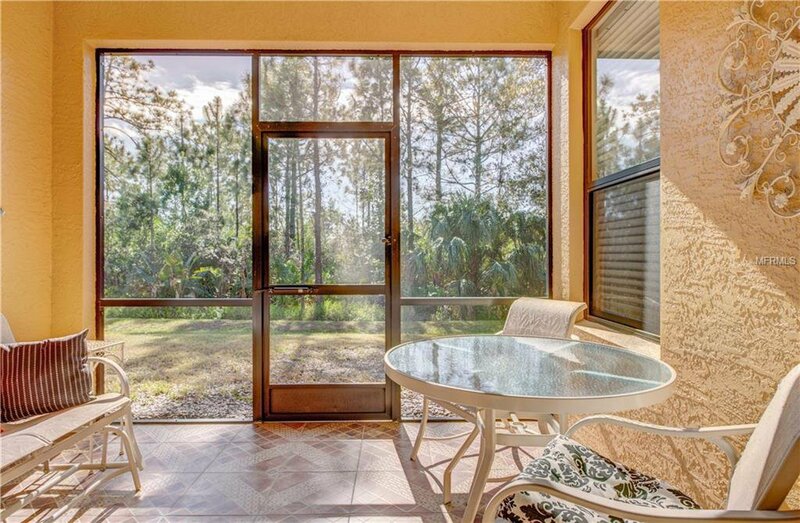 Sliding glass doors in the great room lead out to the private screened in lanai w/serene wooded view. 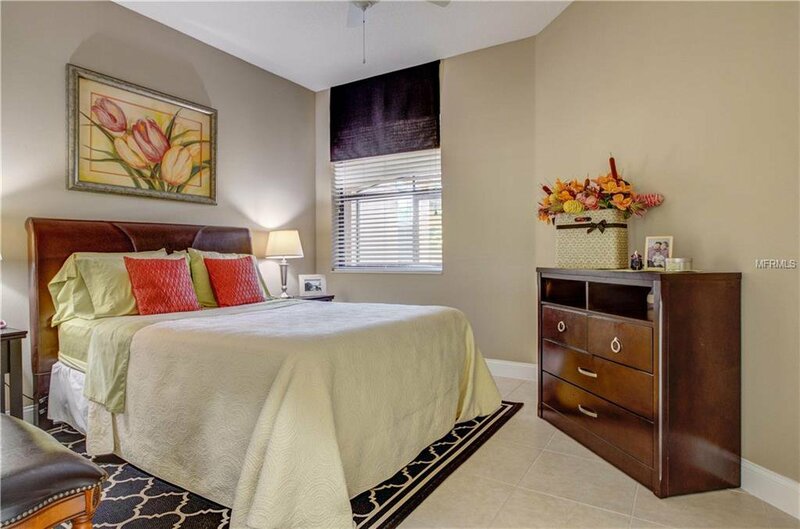 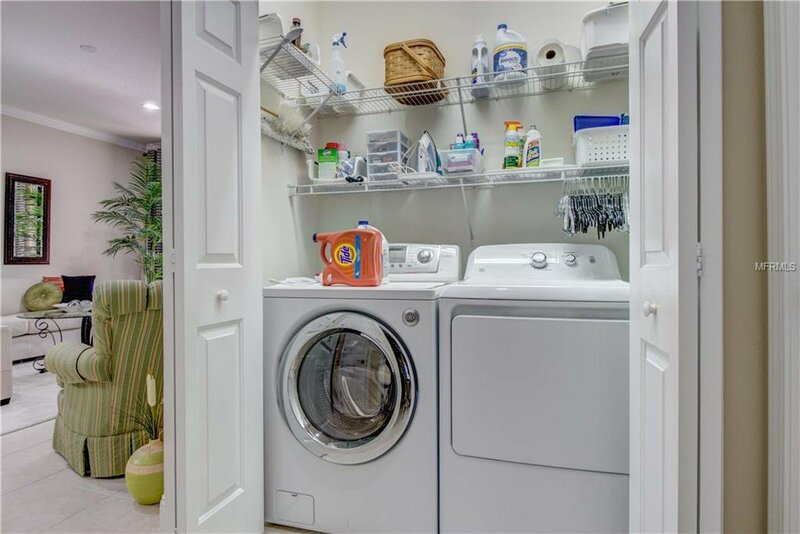 The guest bedroom has a private closet, window & ceiling fan, and the guest bath has a vanity w/large mirror, updated light fixture & skylight. 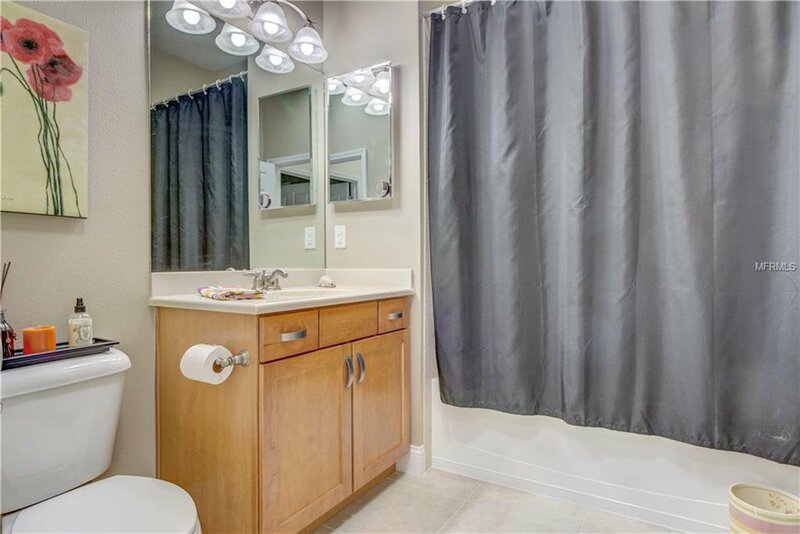 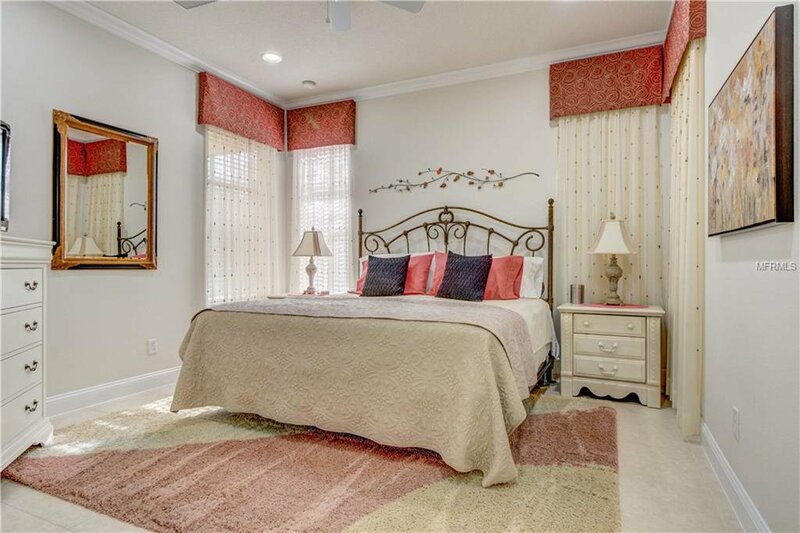 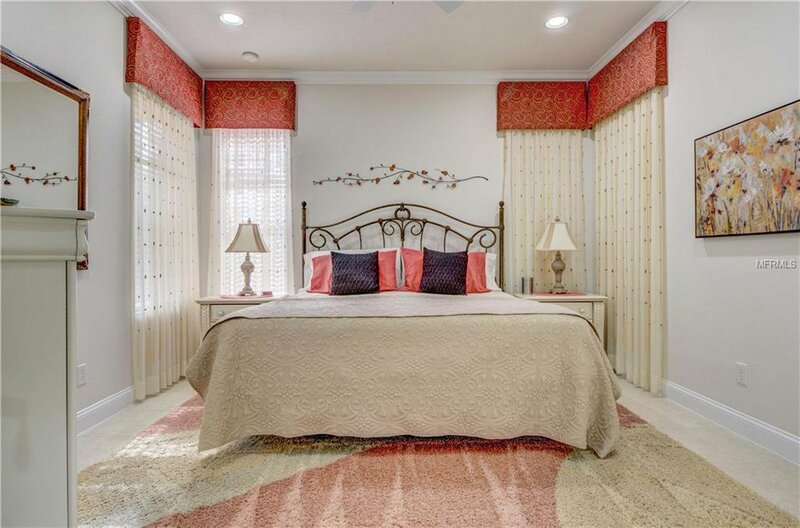 The master suite features an oversized walk in closet, gorgeous handmade curtains, double sinks & tiled Roman shower. 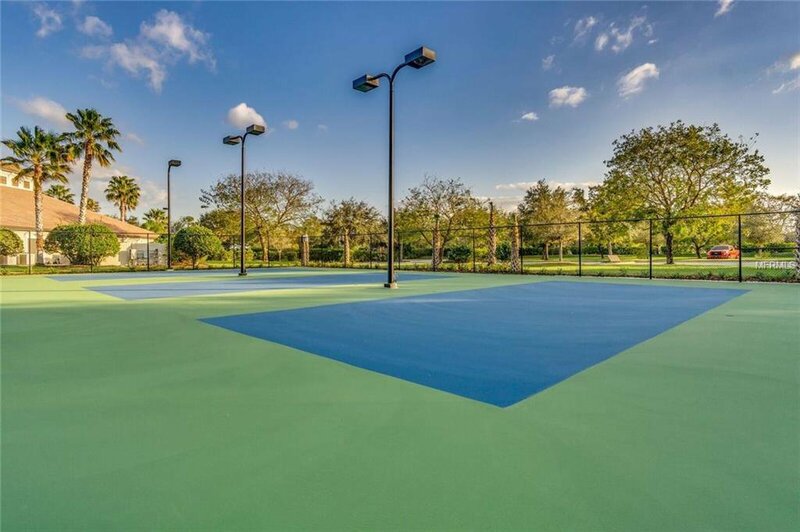 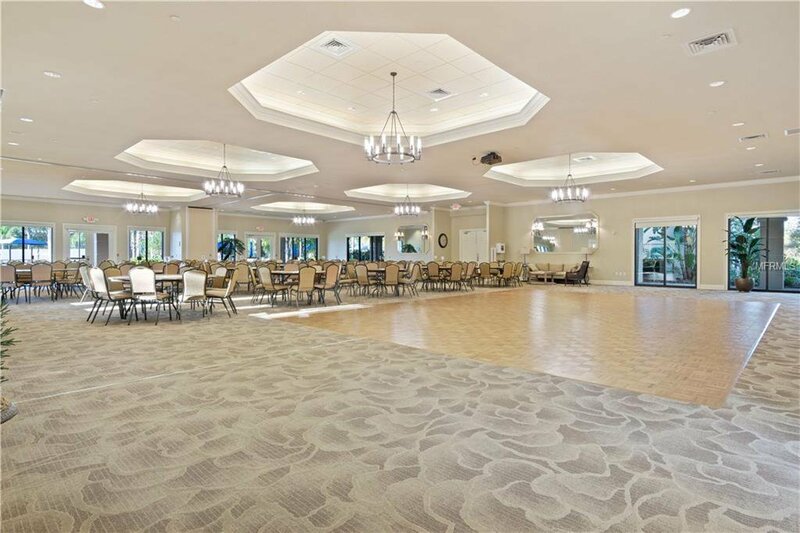 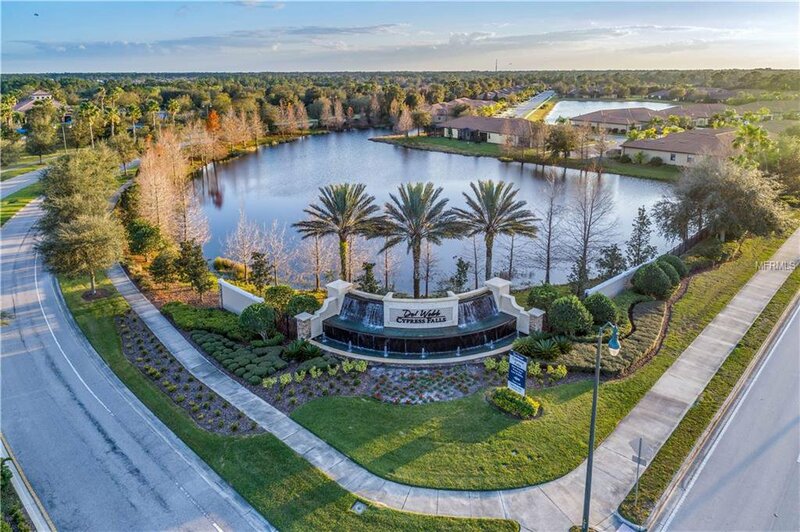 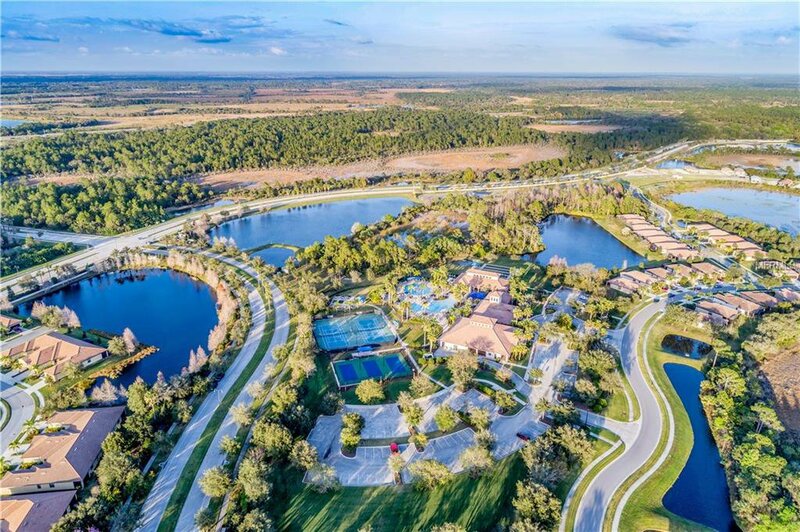 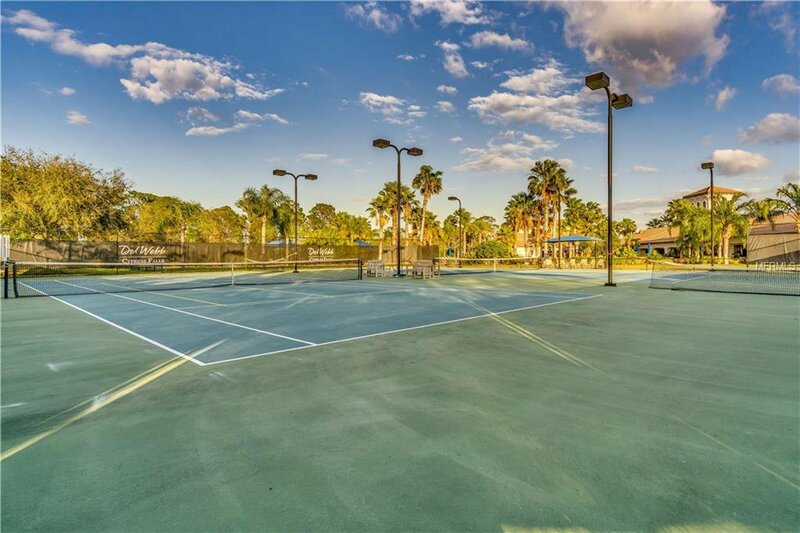 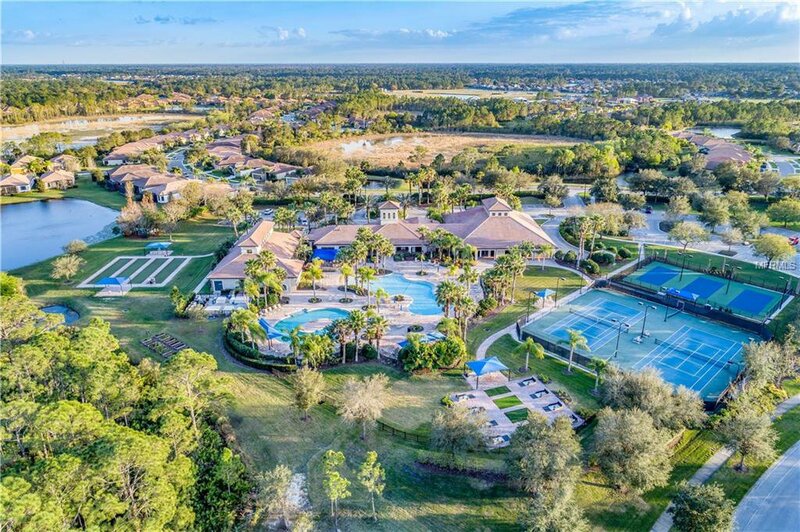 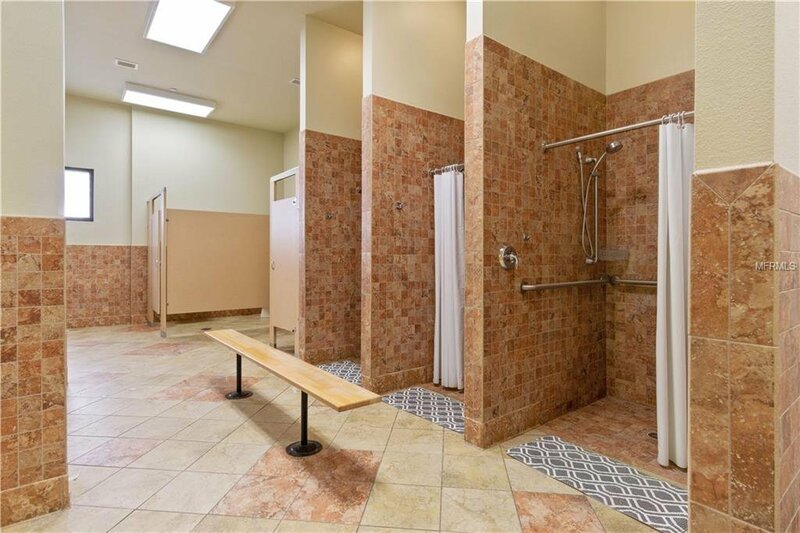 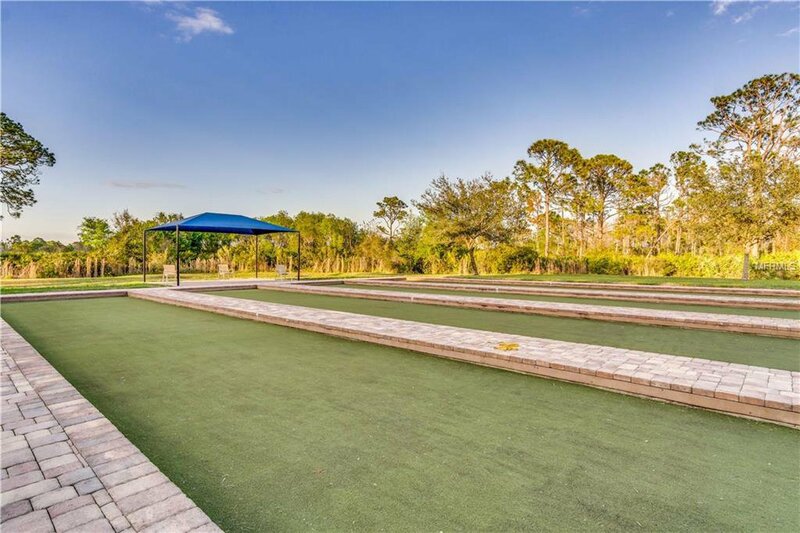 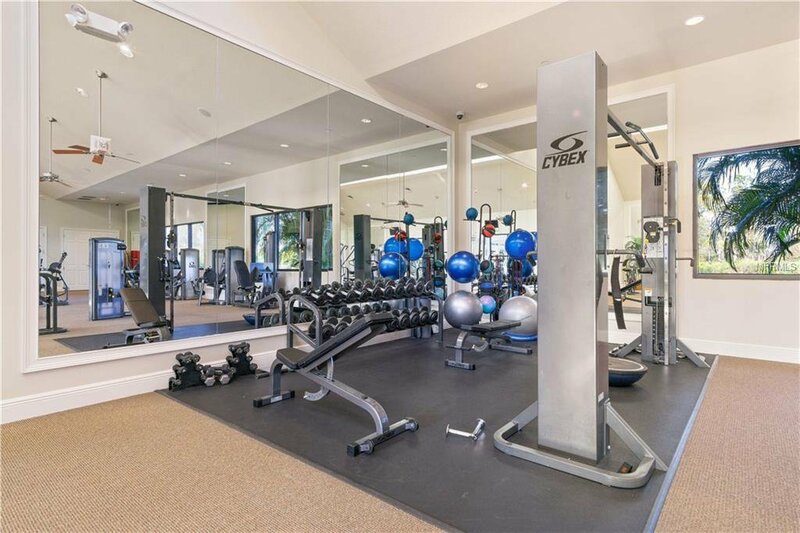 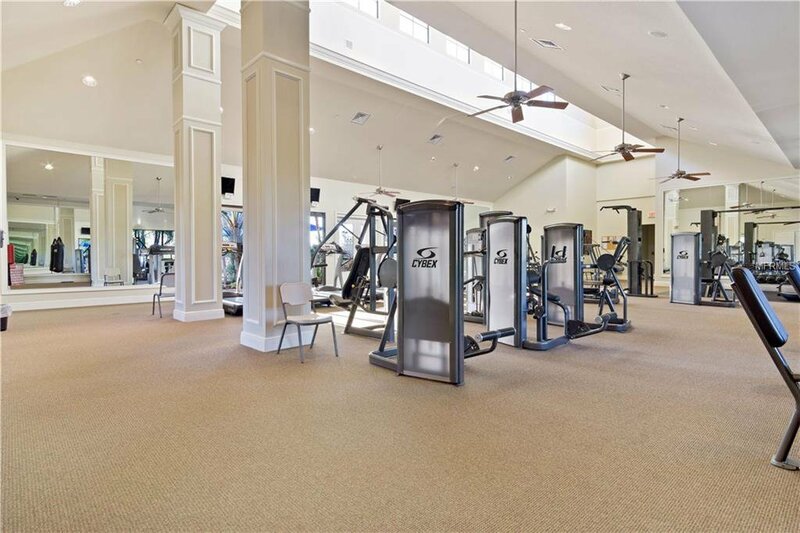 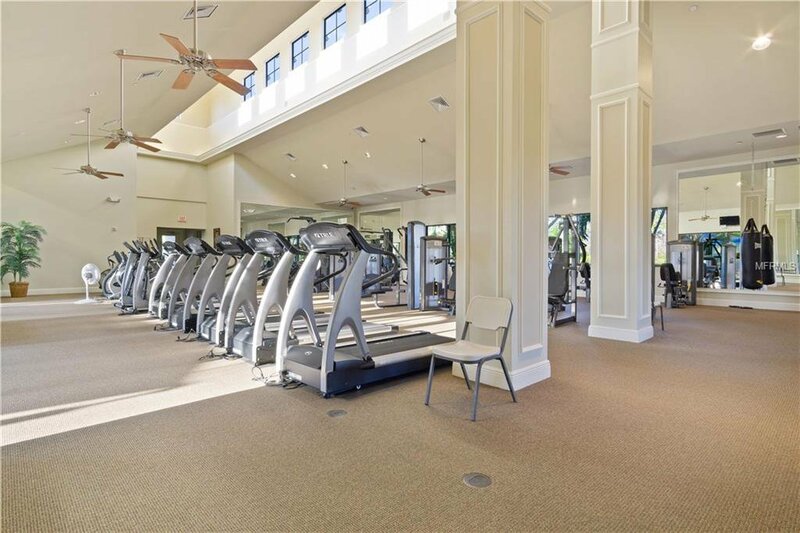 Cypress Falls offers planned social activities, fitness center, resistance pool, spa, putting green, bocce ball, tennis courts, horseshoes & a full time Activities Director. 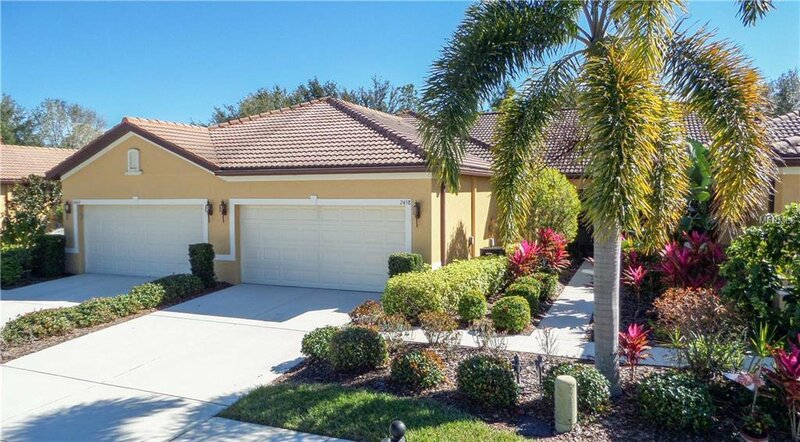 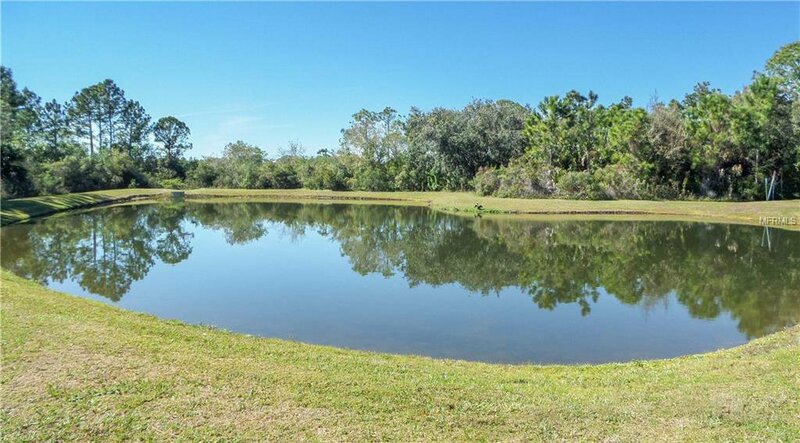 Don't miss this opportunity to live the Florida Lifestyle, make an appointment to see it today!